After a hot summer in Ottawa, cooler autumn days will soon be here. As usual, the earth orbits the sun and we, in the northern hemisphere, know this astronomical tilt as Fall. September 22 is the official date of the equinox and our awareness will sharpen as we shift and re-balance in the cooler aromatic air. 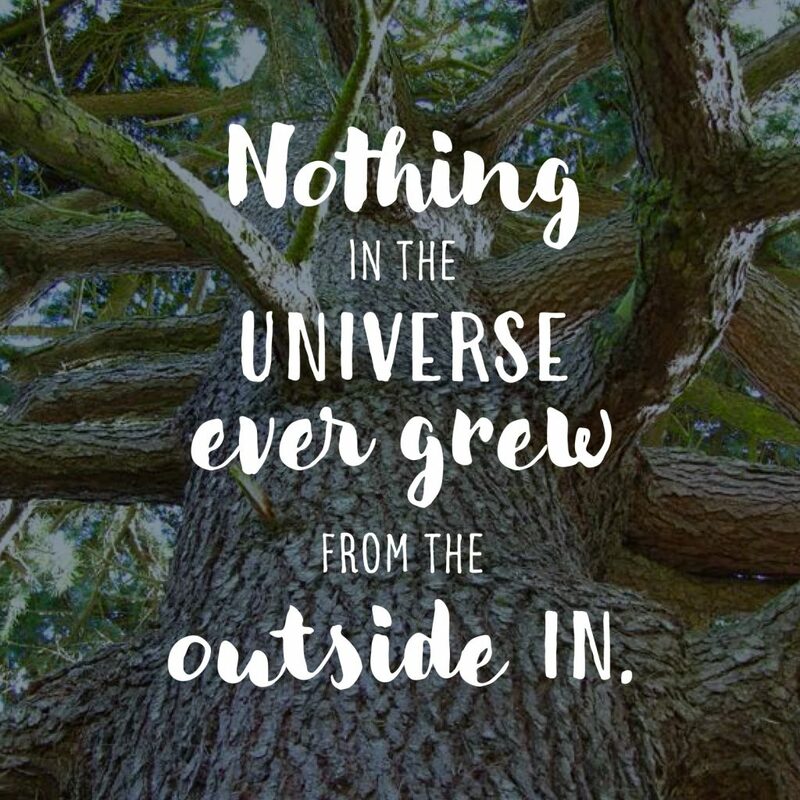 During this transition time in the seasons we may notice we are even more attuned to the evanescence, the flowing, impermanent nature of all things. Friday,September 7th – Friday Evening Meeting with Ven Khemako 7:30 pm at Quaker House, 91A Fourth Ave, Ottawa (click here for map). All food/dana for Tisarana Monastery , will be gratefully accepted and delivered to the sangha at Tisarana. ( click on the monastery link for current items needed). Ajahn Viradhammo will be leading the 7 Day Residential Retreat at Galilee Centre from Sept 21 – 28th. Due to this major event in the OBS schedule no other Friday Evening meeting at Quaker House or Tu-An Pagoda Days of Mindfulness are planned for September. 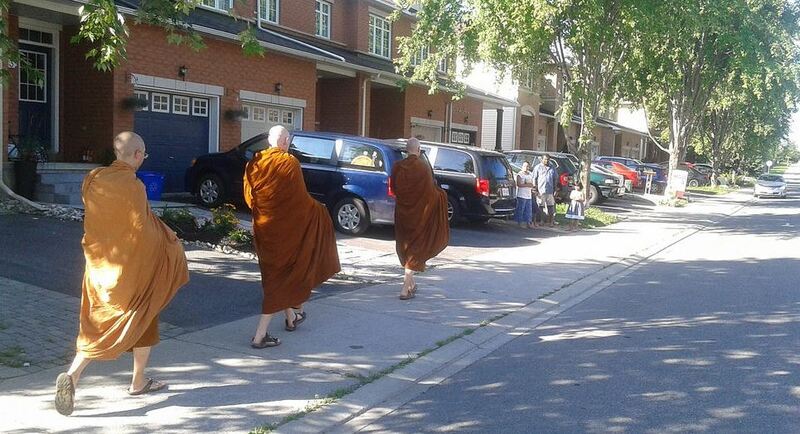 The retreat is full Tisarana monks recently performed Sunday morning alms rounds, pindapadas, in the Barrhaven neighborhoods of some OBS members and friends. More photos available on the Tisarana website . The final OBS retreat opportunity being offered this year will be led by Ayya Medhanandi on Saturday, Nov 17th and Sunday, Nov 18th 8:30 – 4:30 pm each day at the Fisher Heights Community Centre. Ayyā Medhānandī Bhikkhunī, is the founder and guiding teacher of Sati Sārāņīya Hermitage, a forest monastery for women in the Theravādan tradition. The daughter of Eastern European refugees who emigrated to Montreal after World War II, she began a spiritual quest in childhood that led her to India, Burma, England, New Zealand, Malaysia, Taiwan and finally, back to Canada. After nearly 20 years as a novice alms-mendicant nun, in 2007, Ayyā fulfilled her long-held wish for full ordination – she took her bhikkhunī vows at Ling Quan Chan Monastery in Keelung, Taiwan. In 2008, on invitation from the Ottawa Buddhist Society and Toronto Theravāda Buddhist Community, Ayyā returned to her native Canada to establish Sati Sārāņīya Hermitage. This non residential retreat offers space for silent meditation and contemplation on death, our fear of it, death’s immanence, and how we learn from it great lessons about ourselves. Through the stabilizing force of present moment awareness we investigate the process of dying while inquiring – who dies; how we embody our humanity; what is our greatest fear; where is freedom from remorse; what brings unshakeable joy; and what consummates life. 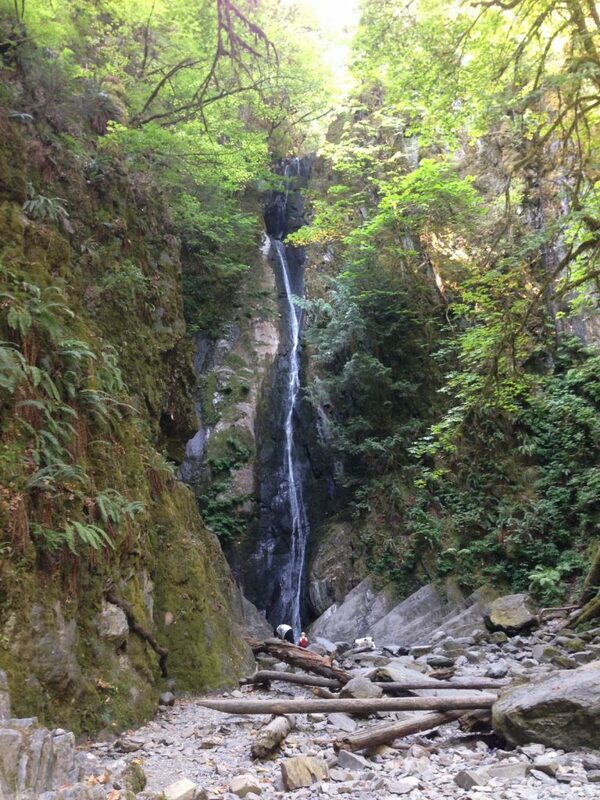 Death reflections and meditation guidance are offered daily. Previous meditation experience required. No partial attendance for this course. Our collective gratitude goes to Nissanka Pussegoda for his meticulous recording and uploading of Bhante Rahula’s wisdom from his June 2018 residential 10 day retreat at Galilee. They are available on the OBS BLOG website HERE.